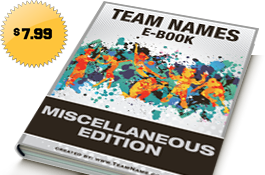 Our Miscellaneous Team Names eBook has 21,323 miscellaneous team names in over 295 team name lists. 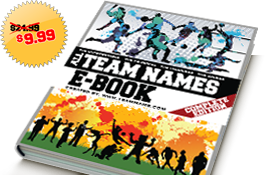 Our ALL Team Names eBook has 28,544 team names in over 1,000 team name lists. Our Fishing Team Names List has 222 fishing team names. The following team name lists are just a few of the team name lists that are included in the Miscellaneous Team Names eBook similar to our Fishing Team Name List. Our related team name lists feature is coming soon ! 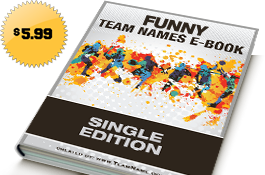 Example : The Miscellaneous Team Names E-Book has a list called Fishing Team Names with Fishing Team Name Ideas.